Not every concept that Irrational dreams up made it into a game, but Ken Levine says that some of the stuff it didn't use may find its way into other 2K games. 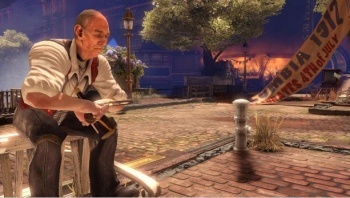 The aerial city of Columbia wasn't the first idea that Irrational Games had for its follow-up to BioShock, it prototyped a number of other concepts before settling on BioShock Infinite. We won't ever get to play the games those prototypes would have become, but we might get to play games inspired by them, which is nearly as good. Levine said that the advantage of focusing on shooters was that ideas you had that didn't fit in one game could possibly be applied to another. He added that some ideas from Irrational's prototype would make it into BioSiock Infinite, while others may turn up in other games. Levine is humble however, and says that Irrational shouldn't take the credit for these ideas. In his opinion, the hard part of working in videogames is not coming up with cool ideas, it was realizing those ideas and making them into something fun, although he said it made him happy to see Irrational's ideas live on.